There are many reasons why our savings get derailed by unexpected expenses: such as medical bills and cars that breakdown. In this episode I give you a 3-jar strategy to make sure that you won’t be caught off guard when they hit. 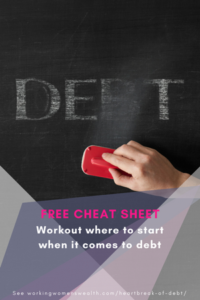 We also discuss one of the golden rules of managing money – don’t use capital (money you’ve invested) to help out with expenses. Always protect your capital! Lisa Linfield: 00:21 Hello, everybody. Welcome to this week’s episode of Working Women’s Wealth. 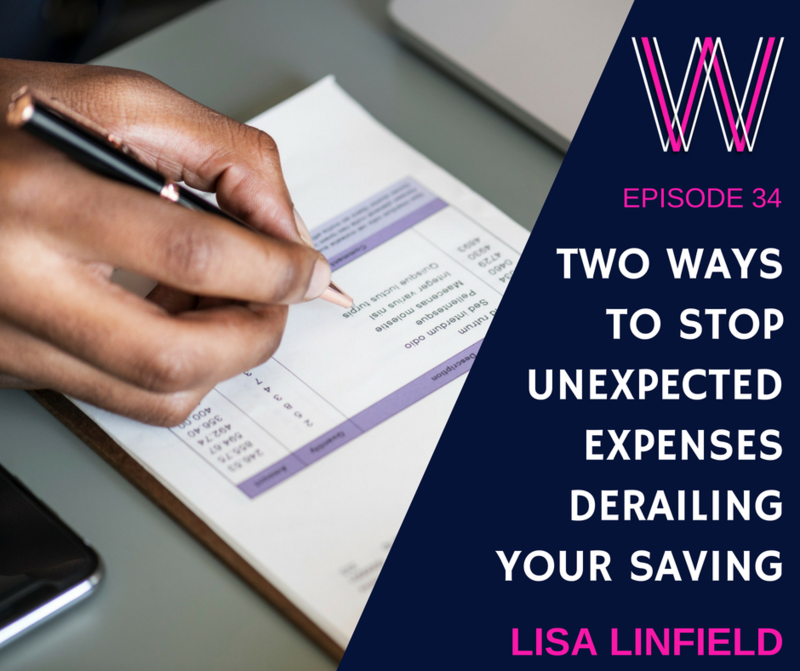 Today we’re going to talk about those unexpected derailing expenses that always seem to hit. For many of you, when I ask the question why are you unable to save or get ahead and try and prepare for the future, that has been one of the most common answers, whether it be medical expenses that suddenly hit, a child becomes sick or whether it be, for many people, helping other people out, and especially family members, your love for your family means that when someone else is in a pickle, you end up coming to the party and helping them out with their unexpected expenses. Also, the other thing that comes out is spontaneous spending. You were on track and then there was something that was either needed or wanted by the family, and you think, “You know what? We’re actually just going to do it. We’re going to go and have that holiday.” I guess that is an unexpected expenses, but it’s these everyday difficult circumstances that hit us, that means that we are unable to stick to that budget. When you’re unable to stick to that budget, it unfortunately has a knock-on effect with your savings. It doesn’t matter whether they are unnecessary or necessary expenses. Most of the times, it’s just because life’s expensive. How do we deal with these unexpected expenses? I believe in a three jar system. In the three jar system, the first jar is for cashflow, the second jar is for really big unexpected expenses, and the third jar is for investing. How does that work? For my first jar, the cashflow perspective, there are always months that are going to be expensive and months that aren’t expensive. The months that are expensive are usually Christmas family holidays, things that happen at general times of the year, and the unexpected months are when we’re just puttering away with life as usual. It’s not that anything’s not expensive, but it’s just that they aren’t those months that come every single year that are more expensive. It’s having the discipline that during those months where we don’t need as much money, we squirrel away and save money into this little savings account that is linked to our main transactional account. That means that we are able to buffer ourselves against those expensive months. Why? Because we have a little bit saved up. As I say to the ladies that I teach, we all know that Christmas came this last year, it’s going to come next year, it’s going to come every single year. If we know that it’s going to cost us more money, why don’t we spend the time beforehand saving away so that we don’t have to dip into our investments to keep us through those very difficult and busy times? The second is around saving three to six months of expenses to buffer us for really unexpected derailing expenses, such as large medical bills, if you lose your job, something happens, the car breaks down and you cannot repair it and you need to buy a new one. Those three to six months of very long-term savings is what will really help to make a difference. 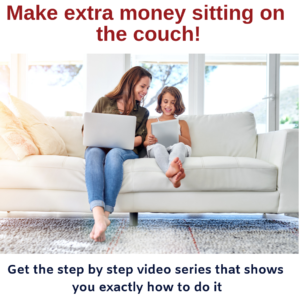 The reason why these two together make a huge difference in being able to keep onto your spending check is that you don’t have to use capital to fund expenses, your investments, or that you don’t have to pay the date on using it on your credit card or something like that. If you get to three to six months and basically you need three months if you are an employed person and six months if you’re a self-employed person, three to six months worth of saving is able to then generate a sufficient buffer for these unexpected expenses. In my experience, it usually takes about two to three years to save up this three to six month buffer. It’s not something that you can save quickly. Why? It’s a whole month’s salary that you need to save. It’s really important that you get it into perspective that it will take time to build this buffer, but be diligent about it and do it because we will always need it. The sooner we start saving that three to six months emergency buffer, the better that we will be in being able to sustain the shocks that hit us through everyday life. Then the third jar is your investments. In those investments, we need to make sure that we never touch them, we never use capital to fund expenses. Once some money is invested, we need to keep it there and invested and that we dip into those other two accounts when we need to sustain the shocks of everyday life. I really urge everybody to make sure that you have those three jars set up and that you are disciplined about if you need to draw from those jars, well especially from the emergency fund, that as quick as possible you get it back up to the level of savings that you need. I’m Lisa Linfield and this is Working Women’s Wealth. Please will you support us by subscribing to our podcast and rating it and leaving us a review so that we can teach many more women about how to manage their money? Take care and have a great day.